Soon after my youngest son, Colt, was born, my husband and I began to struggle in our marriage. I had been loading the anger, jealously, and resentment filled bullets for quite some time, but the hormonal imbalances of post-partum-hood finally cocked the gun and pulled the trigger. I’d always been too prideful to seek professional help but I felt, we felt, it was time. I contacted my pastor and asked him for a referral to a trustworthy, Christian therapist. I only went to one session, partly because it was too expensive and partly because I was too lazy to return. We continued to struggle for another six months or so before God really started working in our lives, but that’s another story. In this article, I want to discuss something the therapist said to me, which never really started sinking in until now, years later. At the end of our 90-minute session she gave me a homework assignment. I shrugged off the assignment and never returned to her office. Should, ought, must; should, ought, must. This was my life mantra and it continually left me feeling offended, shortchanged, and disappointed. I lived my life based on expectations. Expecting others, myself, and God to behave in whatever particular way I deemed as good or reasonable; and when they didn’t live up, I would be hurt, disappointed, angry or all of the above. Not only would I be chagrined in that moment of offense, but I would hold on to the grudge, letting one resentment pile on top of the other. Countless times I nagged my husband for not doing whatever I felt he ought to do. Worse still, when someone else would fail to treat me how I assumed they should treat me, I would not only attack them, but also my husband for not responding to their wrongdoing in the way I felt he should respond to it. Shwew! Talk about exhausting. Expectations on top of expectations – and it was making me miserable. Marriage vows are what we promise to do for the other person – regardless of the situation we are in and without a promise of getting anything in return. Problems arise later when we “expect” our partner to respond in the way we want. Instead of living a life of expectation, I’ve started living a life of expectancy. What’s the difference? Well, expectation sets up exact terms for how something should happen, or a particular way someone must respond to us or illustrate their love. We bring these expectations into our friendships, marriages, and our relationship with God. The major problem with these expectations is that no one, not even God, ever lives up to them. And because we are so focused on whether or not they have done what we think they ought to do, we overlook all the other good things they are doing. When I married my husband, one way in which I felt that he should demonstrate his love for me is by cutting off all communication with his ex-girlfriends. If I saw him talking to one of them I would become so irate, so offended and oh, so heartbroken. His insistence on noncompliance became the only thing I could focus on and I was convinced that since he wouldn’t stop talking to these other girls, he must not truly love me. And, since I was so focused on his failure to meet my particular expectation of how he should demonstrate his love, I was missing all the other ways that he was communicating his love for me, i.e. spending time with me, loving my child, being affectionate, supporting me in anything I do, gift giving, and helping me in times of need. We do the exact same thing in our relationship with God. We go into the relationship with expectations; expectations of how God should display his love for us, and when he doesn’t, we become hurt, disappointed, and lose faith. Yet, just like in our earthly relationships, when we focus solely on our own preconceived notions of how God should communicate, love, or respond, we miss all the ways that he actually is loving us, communicating with us, and responding to us. This is why, if we want any real joy or true relationship, we must quit living with these expectations, and instead, live with expectancy. Expectancy is simply the state of thinking that something pleasant will happen. Expectation sets standards for what, when, or how it should happen. Expectancy allows for freedom. Expectation boxes God in and limits the ways He can move in our lives. Just think about it. The Pharisee’s would have seen Jesus if it wasn’t for all their looking. That’s right, their expectations of what the Messiah should be like, look like, etc., blinded them to the true Messiah. And remember those disciples on the road to Emmaus, bemoaning the absence of the very one present with them? They sighed, “...but we had hoped that he was the one who was going to redeem Israel.” Their expectation of what Jesus should do blinded them to the cross, the resurrection, and to a deeper redemption than they could ever imagine – and our expectations are doing the same to us today. Did you catch that? God said, if we truly know and trust Him, we will have a constant and living expectancy in our relationship, not expectations. When I finally began to let go my expectations and preconceived notions of how God or other people should respond to me, I began to experience relationship with God and with others in a way I never imagined possible. Instead of the disappointment associated with looking for God in certain places, and not finding Him there, I began to experience the joy and gratitude of discovering him in the most unimaginable places! Instead of experiencing the pain and frustration of my husband and my friends not treating me in the way I felt they ought to, I began to experience the contentment, satisfaction, and freedom of receiving their love in whatever way they most enjoy expressing it. When we let go of our terms, guidelines, ultimatums and control -- in other words -- our expectations, and we replace them with a simple, childlike expectancy, we will frequently find ourselves, as C.S. Lewis puts it, “surprised by joy.” And really, isn’t that the only way to experience joy? Through surprise? 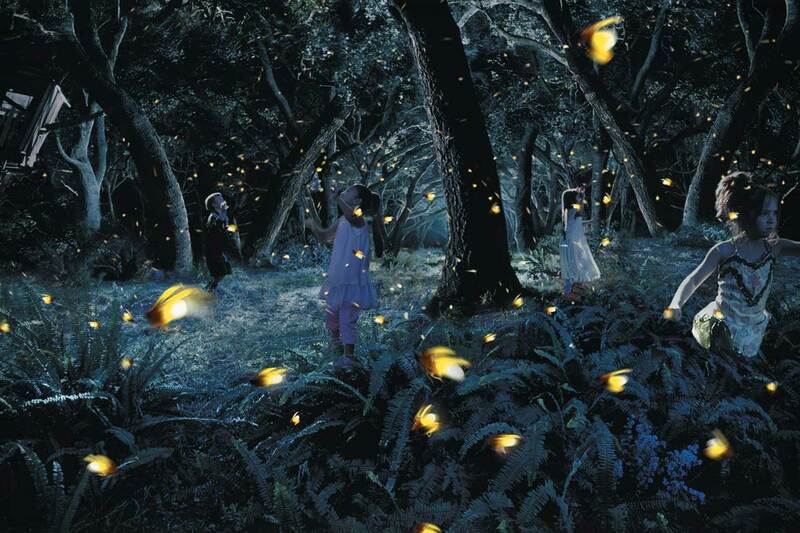 Just watch a child’s face light up in the presence of something as modest as a firefly’s glow. Why so much joy over something so ordinary? Because they didn’t expect it, and thus, because they had no expectation, they had no disappointment -- only joy and gratitude for the bug’s little yellow light. As I began removing the “you should’s, you ought to’s, and you must’s” from my vocabulary, and replaced them all with, "have Your way," my life changed – and it changed for the better. Let go of your expectations, they are stealing your joy, killing your relationships, and holding you back from truly living. As you replace those expectations with expectancy, you will begin to see, know, and feel God, and the all the people around you, in a way you never knew possible. "The Lord gives, and the Lord takes away, blessed be the name of the Lord." The Lord tries those he loves like gold is tested in fire. and the Lord repays evil doers. Either way, it's a great way to set your expectations low for what we can receive in this life. And low expectations are easily blown away. I enjoyed this. Beautifully written and explained. Love this breakdown of expectancy vs. expectation! Thank you!